Looking for an alternative to roses and candy this Valentine’s Day? The Haunt in Atascadero is hosting its second annual “Heartache Hotel” until Feb. 24. 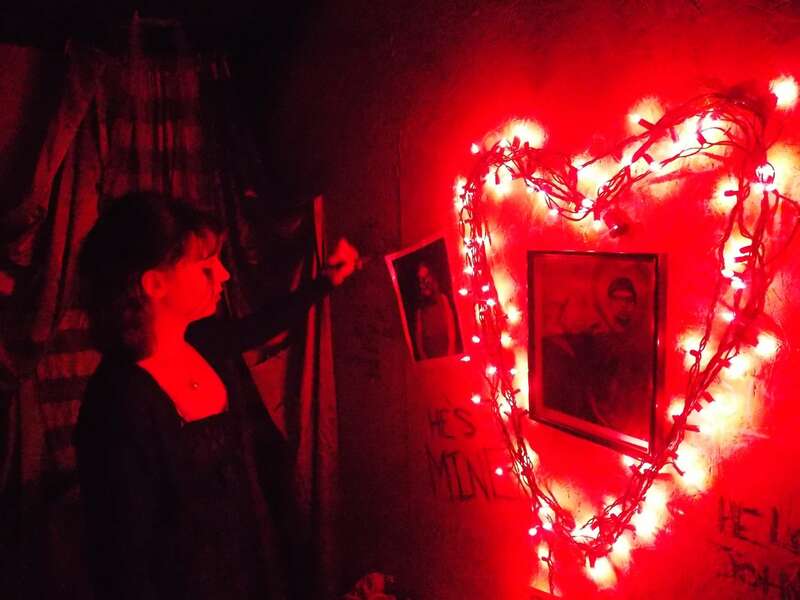 The Valentine’s-themed haunted house is open every Friday and Saturday and Wednesday, Feb. 14 from 7 p.m. to 10 p.m. Located at 5805 El Camino Real, this new attraction is meant to immerse visitors in a 1950s hotel. The house features 13 anti-Valentine’s Day themes. “We send you through the dark passageways with a special interactive skull lantern. The entire experience is about 10 minutes and we have 20 different actors and a variety of special effects set up to scare you,” co-owner Randy Russom said. The Heartache Hotel is completely redesigned from The Haunt’s October Halloween show. Through the support of volunteers and sponsorships, The Haunt team has put forth efforts to make the Valentine’s show even more terrifying. The Haunt opened its doors in 2015 as a result of a merger of two local haunts: TNT Terrors and Mid State Scare. TNT Terrors began in Towers’ garage in San Diego, before he relocated to San Luis Obispo County. Randy Russom ran the Mid State Scare in Arroyo Grande for six years prior to the merger. The Heartache Hotel is currently selling tickets online. They will also be available at the door at 6:45 p.m. each day that it’s open. Ticket are $10 each, or $18 for a couple.